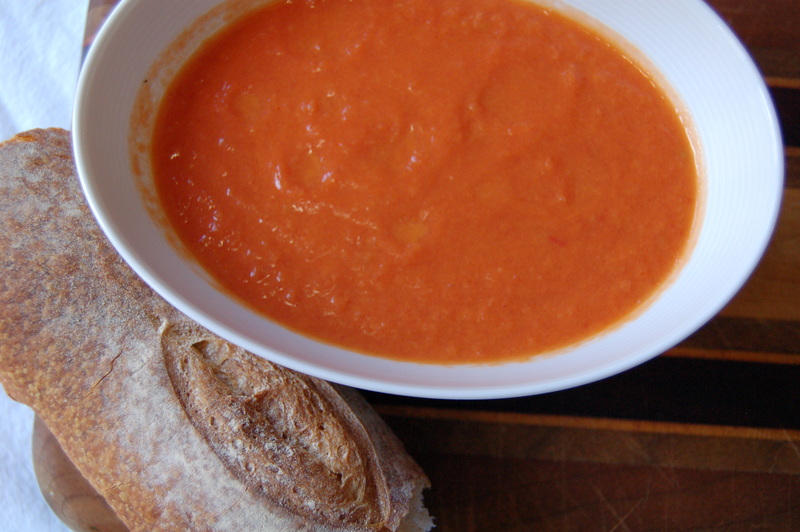 I call this my favorite tomato soup because not only does is it delicious, but it is so incredibly easy. I thought that today, while it is cold and snowy in the northeast would be the perfect day to make it. In thirty, yep I said thirty, minutes you have warm, rich tomato soup that tastes like you’ve been chopping and simmering all day. Kind of like the spaghetti alla puttanesca of tomato soups. I make this at my house at least once a week during the cold weather. If I’m feeling decadent, I use all of the butter called for. 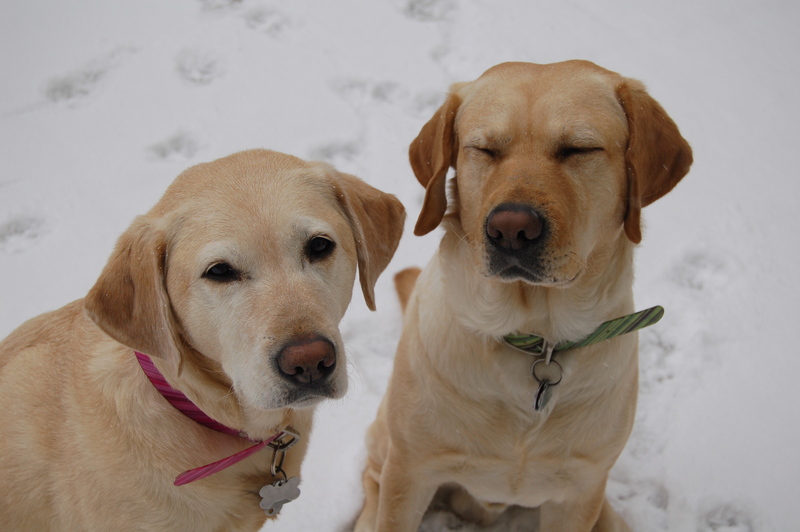 If I’m preparing to leave for Mexico the day after Christmas (12 days!!! ), I cut down on the butter. Because there are only four ingredients (5 if you count salt), use the highest quality ingredients that you can afford. I have made this soup with as little as 3 tablespoons of butter and it is still delicious. The original recipe called for 7 tablespoons, which was a little too rich for me. My preferred amount is somewhere between 4 and 6 tablespoons of butter. 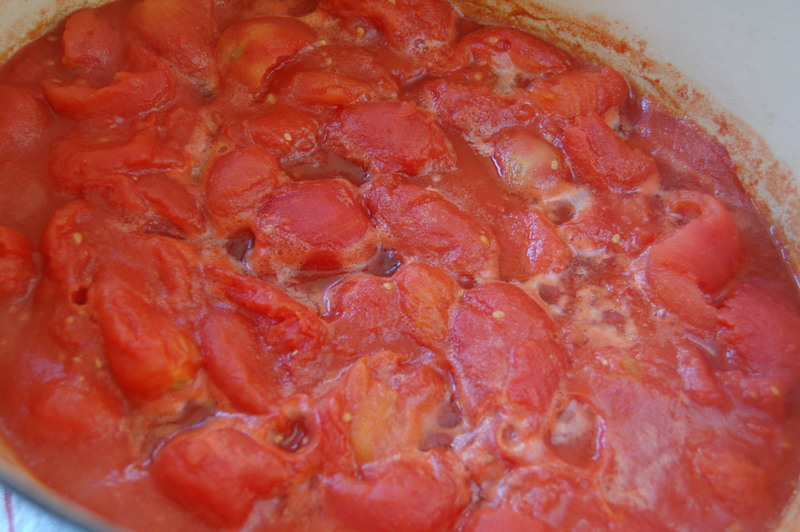 In a large pot, heat tomatoes over medium-high heat until bubbling. Lower heat to a simmer, stirring occasionally. 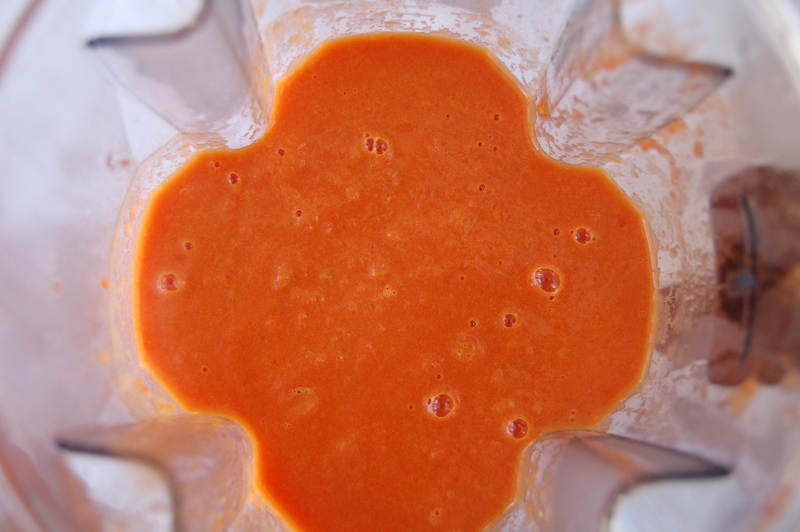 After about 25 minutes, remove from heat and transfer to a blender (IF you have a Vitamix or other type of blender that allows you to puree hot liquids, if not, allow tomatoes to cool or work in very small batches). 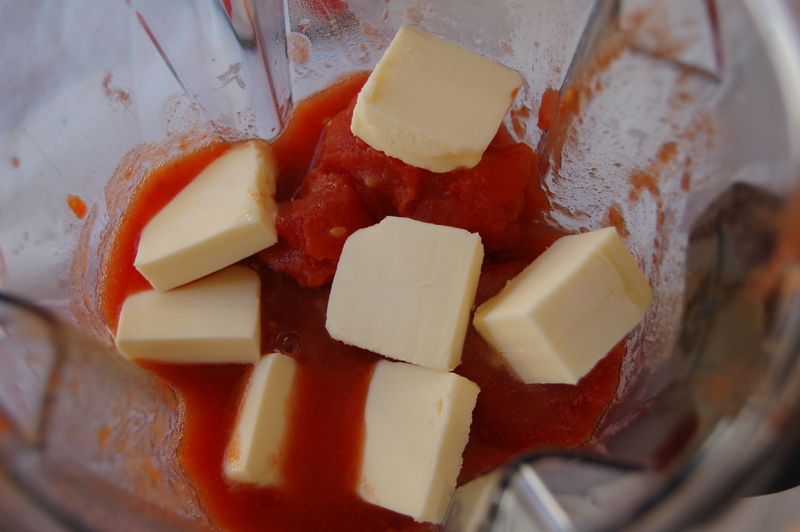 Add butter, hot sauce and sugar to the blender. Puree. Season with salt and more hot sauce, if needed. 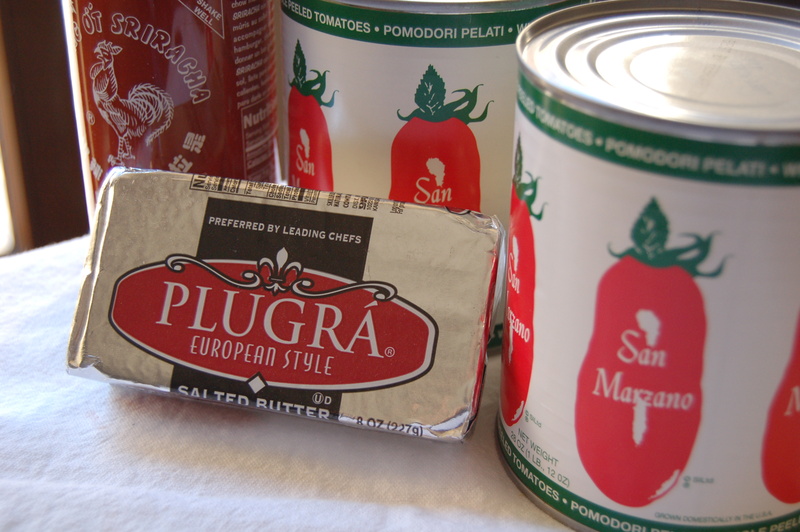 Can be served immediately (rewarming if necessary) or store in refrigerator in airtight container for up to 3 days. 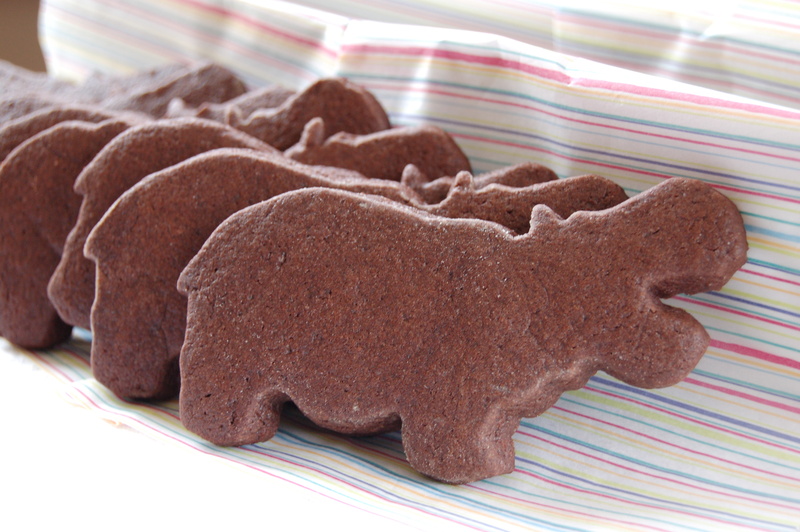 Serve with crusty baguette or whole wheat flatbreads. Flatbread recipe appearing in the very near future!